All seven defendants in the Oregon standoff, including brothers Ammon and Ryan Bundy, were found not guilty Thursday by a jury in Portland in a stunning conclusion to a charged episode in the federal-lands debate. There was more drama after the verdict was announced: Ammon Bundy’s attorney Marcus Mumford was tackled to the ground by U.S. marshals after he began shouting that his client should go free, even though the Bundy brothers still face federal charges in Nevada. Mr. Mumford was taken into custody by marshals. The seven defendants were indicted on conspiracy and firearms charges stemming from their 41-day armed takeover of a Fish and Wildlife Service building in the Malheur National Wildlife Refuge, which began in January as a protest against federal land-management policy. “While I respect the jury’s decision, I am disappointed. The occupation of the Malheur Refuge by outsiders did not reflect the Oregon way of respectfully working together to resolve differences,” the Democratic governor said. While the Bundy brothers are expected to remain in custody, the other five defendants — Jeff Banta, Shawna Cox, David Fry, Kenneth Medenbach and Neil Wampler — may be permitted to go free. The brothers are under federal indictment stemming from the 2014 standoff with the Bureau of Land Management at their father Cliven Bundy’s ranch near Bunkerville, Nevada. U.S. District Court Judge Anna J. Brown dismissed a juror Wednesday who had been accused by another juror who had previously worked for the Bureau of Land Management. Attorneys for the defendants had called for her to remove him or declare a mistrial after another juror sent a note to the judge raising doubts about his impartiality. After the juror was replaced Thursday, the jury reached its verdict in a matter of hours in a trial that began Sept. 7. On Tuesday, the judge sentenced Brian “Booda” Cavalier to time served, or nine months, for conspiring to impede federal workers through intimidation, threat or force, as well as possession of a firearm at a federal facility. One of the several dozen protesters who took over the building, Robert “LaVoy” Finicum was shot and killed Jan. 26 at an FBI roadblock by Oregon state troopers, a shooting the Malheur County District Attorney ruled later was justified. Supporters of Mr. Finicum posted messages on social media afterward calling for charges against law-enforcement agencies involved in his death. “But one is still dead. 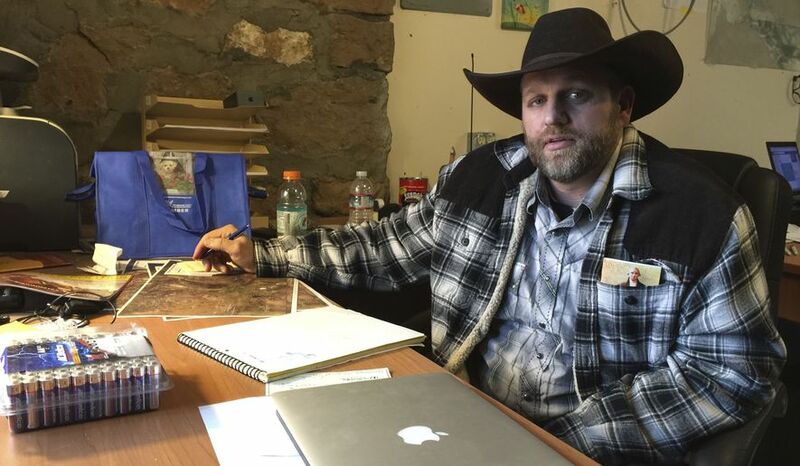 Now the feds should be charged with murder,” said Sean Rogers on the Bundy Ranch Facebook page.